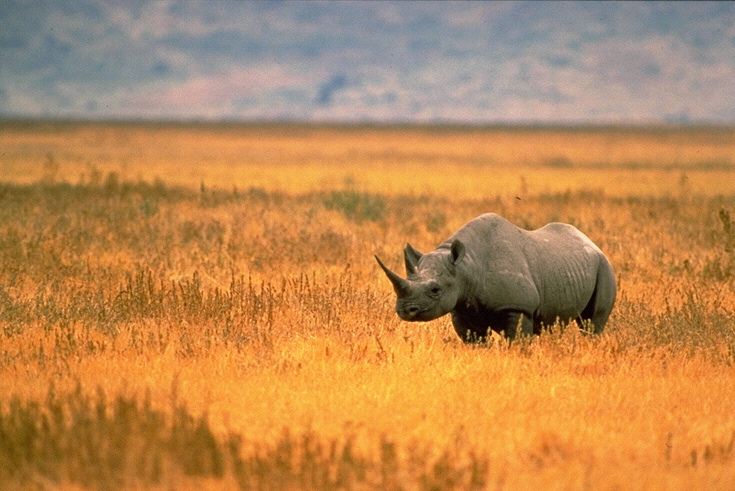 Rhinos have been hunted to the verge of extinction because of their valuable horns. Most governments have responded, as they have with elephant poaching, by banning hunting, heavily restricting trade, and publicly destroying large stockpiles of seized rhino horn and ivory. It hasn’t worked. Poaching continues to be profitable and to push the rhino toward extinction. Today, New York will destroy nearly two tons of ivory and rhino horn in Central Park, in a public display of its opposition to poaching. It’s been done many times before, yet poaching continues. Ironically, destroying ivory and rhino horn likely makes poaching worse, by driving up the price that poachers can receive. National Geographic published a debate on whether crushes are an effective means of combating poaching. This contribution from PERC Fellow Michael ‘t Sas-Rolfes, a South African conservation economist, gets it exactly right. I’m skeptical. It’s a PR stunt . . . But after many previous public stockpile destructions, how can yet another one end the poaching that feeds the persistent demand for illegal ivory? By now surely the conservation message is out? Ongoing destructions could backfire, reinforcing perceptions of ivory’s scarcity and supporting high black market prices. And doing this doesn’t generate sustainable financing for African parks, where it is desperately needed: It simply entrenches elephants as aid-dependent liabilities on a continent where they are losing ground to rapidly growing human populations, in relentless competition for space and resources. The tragedy is that the rhino’s extinction risk could effectively be eliminated, if property rights and market incentives were embraced. John Stossel and Maxim Lott have a new feature for Reason explaining that poaching could be dramatically curtailed if rhinos could be lawfully farmed for their horns (which can be safely removed). Artificial rhino horn could also flood the market and drive down the prices that poachers can fetch. For rhinos, as with many other endangered species, free markets and property rights can succeed where regulation and wishful thinking have failed. The opposition to saving the rhino through free market environmentalism is as unsurprising as it is disappointing. For many activists, it’s not enough to do the right thing, you have to do it for what they view as the right reason. Protecting a species or improving the environment through property rights (“commoditization!”) or economic incentives (“greed!”) sullies the whole enterprise. The most memorable example of this is from an episode of 60 Minutes that aired several years ago. The segment concerned several species of African antelope that were on the verge of extinction in their native lands but were thriving on ranches in Texas. The reason: ranchers discovered that hunters valued the rare animals enough that they could profit from growing populations on their land. The ranchers had a financial incentive to grow sustainable populations—the future income they’d derive from hunts—and thus the likelihood that these species would go extinct was substantially reduced. However, many environmentalists did not celebrate this victory in the fight against extinction. Friends of Animals brought a lawsuit to try to shut down these ranches. 60 Minutes interviewed the group’s leader to find out why she was opposed to something that was working to save the species. The interviewer asked her directly whether she would rather see the species go extinct than be saved by property owners profiting from hunting. And she said yes! She didn’t want the species to go extinct, of course. But she couldn’t endorse saving a species for what she saw as the wrong reason. The insistence on ideological purity is unfortunate, both for the environment and people. Trying to persuade more people to care about environmental impacts is great. But that shouldn’t blind us to the consequences of well-intentioned, but counter-productive, policies. Alcohol prohibition is a good analogy. It’s great that groups like Alcoholics Anonymous help addicts recover and many more try to persuade people not to drink or curb their drinking. But even if you think people shouldn’t drink, you should still recognize that prohibition was a disaster. Previous Endangered species depend on private land for habitat, so why treat landowners as the enemy? Next Are higher entrance fees the fix for overcrowded national parks? Brilliant post. Similar to the case study here is the concept of ecosystem services and natural capital. If valuing nature, helps conservation, then I am all for it.